UK psychedelic trance act. Cosmosis (with Jez Van Kampen) were one of the original artists that along with Total Eclipse, Hallucinogen, Man With No Name and Astral Projection, pioneered the goa and psytrance sound in the early nineties. Cosmosis' first album - the seminal Cosmology - was one of the first goa or artist albums. Released in 1996 it is widely regarded as one of the few classic albums in that genre. Cosmosis (with Jez Van Kampen) were one of the original artists that along with Total Eclipse, Hallucinogen, Man With No Name and Astral Projection, pioneered the goa and psytrance sound in the early nineties. Cosmosis' first album - the seminal Cosmology - was one of the first goa or artist albums. Released in 1996 it is widely regarded as one of the few classic albums in that genre. After Jez Van Kampen left Cosmosis in 1997 to concentrate on the Laughing Buddha project, Bilbo (William Bryan Halsey), now solo, went on to write and produce the excellent 1998 release: Synergy which is widely regarded as one of the first goa classics. Later album releases include: the best selling Cosmosis album; Intergalactic released in 2000. Followed by Contact in 2002, then going on to produce Speaking In Tongues with DJ Kuma as Mumbo Jumbo released in 2003. 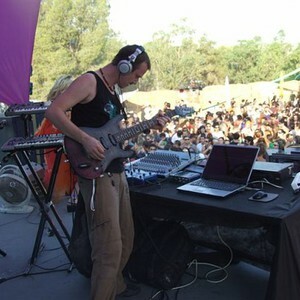 Trancendance was the next Cosmosis album, appearing in 2005 and more recently the current Cosmosis album Psychedelica Melodica was unveiled in 2007 which firmly re-established Cosmosis' credentials as one of the top goa trance producers in the world. In 2009, Fumbling for the Funky Frequency was released to critical acclaim and something of a return to the original sound. Bill Halsey - the producer behind Cosmosis - also produces the Mumbo Jumbo project with Mitch Davies.